1-2-1 Professional and Inspiring Music Lessons for all ages and abilities. From our 2,000 sq ft converted Studios in Birmingham's historic Jewellery Quarter, we offer a professional, tailored and inspiring music lessons for complete beginners to advanced players. We also host regular Workshops, Seminars and Clinics by some of today's top performers and industry professionals, so come along and relax in our lounge area with refreshments and free Wi-FI and prepare to learn, play and achieve. With an ever-expanding team of hand-picked tutors (currently ten in our team), our personal service is completely tailored to suit your learning style, musical preference and goals. Lessons are also available in our Recording Studio together with songwriting sessions, arrangements and our unique song development sessions. As the Midland's only approved Trinity Rock and Pop Exam Centre and with support from the world-renowned Marshall Amplification and Natal Drums, you can rest assured you're in great hands. We also have regular showcase events, an on-site performance studio and fully equipped Pro Tools Recording Studio so there's no shortage of options to help you really fulfil all your musical goals! We guarantee to have you playing, singing, writing or recording in no time at all! Progress Music Academy is for anyone who wishes to get involved in music. Whether you are a beginner or an advanced musician, there is something on offer for you at Progress. 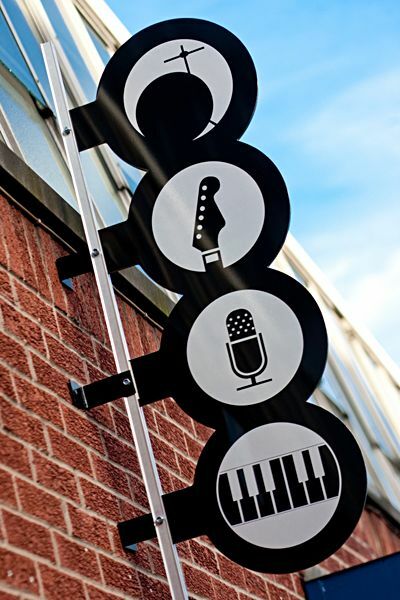 As a Progress Music Academy student, you'll also enjoy the benefit of our great links with Birmingham's largest musical instrument retailers and live music venues, which means we can help you with purchasing your musical instruments, live shows and help you with all areas of your musical development. Book Your Music Lesson Now! Awesome tutors who share not only their skills on their instruments, but their passion too. Excellent service and advice from all members of staff whenever there! I've had piano lessons for around a year, a welcoming place with excellent teachers.